The Nexus 6P's build quality came under scrutiny recently after a bend test video that showed the phone bending like Twizzlers. But that was the metal. Turns out, the glass isn't particularly strong either. In fact, it pretty much shatters on its own without much intervention. A handful of reddit users are reporting that the glass on the back of their brand new Nexus 6P shattered pretty much on its own while the phone was sitting on its back, without them doing anything. This brings back memories of the Nexus 4 back shattering in a similar way, the reason back then being the glass was unable to handle the sudden temperature change when kept on a cool counter during winters after being used for a while. 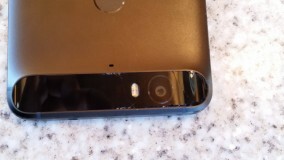 It seems the glass on the Nexus 6P might be going through a similar situation. It's likely the metal around the glass or the glass itself is expanding in a way the manufacturer didn't foresee, causing the glass to shatter in its place with nothing to absorb the expansion. But that's the back. 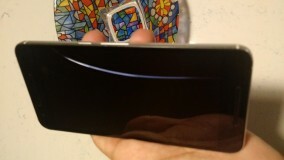 Couple of users have also reported their display glass cracking with one long crack going across the surface (if you remember, this is exactly what happened in the first bend test video). For what it's worth, Google has been providing support for these devices and in cases where it can't has been directing towards Huawei, who is also handling the servicing. It's unfortunate, though, that this is happening at all. For now, it's only a small group of people reporting the issue, but considering the phone only recently went on sale, not a lot of people have it in the first place. TV: Samsung Camera: Fuji (also, pretty much all phones use sony sensor and do a much better job than sony in the camera software department..) MP3: people still use those? You have just gotten lucky, when a phone falls it doesn't fall exactly the same every time. You have just been very fortunate. If you don't be more careful the glass is going to crack eventually, 'cause well it is... glass..
My apologies, I was generalising the quality of Chinese products of the whole world to those that are found in my own country, as Chinese products are the most frequently used.